Kenny Young, A.K.A. Kenneth C M Young, is a multi-award winning Scottish composer, sound designer, audio director and music supervisor whose work has been recognised by the likes of BAFTA, AIAS, GANG, GDC, VGAs, HMMA, SXSW, TIGA, the Golden Joysticks, NAVGTR, Kotaku, Gamespot and IGN. Classically trained and immersed in both traditional Scottish and Appalachian folk music from a young age, Kenny’s broad musical heritage, world-class game development experience, ear for detail and natural curiosity have resulted in a body of musical work which ranges from playful genre-mashups to emotionally vivid soundscapes, all woven together to be a deeply integrated part of the player experience. Kenny started his career in 2004 at Sony London Studio where he worked primarily as a sound designer on a wide variety of projects, from action-adventure titles such as The Geataway: Black Monday, 24: The Game and Heavenly Sword, to more family-friendly offerings such as the EyeToy augmented reality series. This was followed by eight years serving as Head of Audio at Media Molecule where Kenny led the charge as a hands-on lead sound designer and composer, helping to establish the studio’s reputation for excellence by manifesting the critically acclaimed audio experience in their smash hit user generated content game, LittleBigPlanet (2008), including his contributions towards its BAFTA-nominated original score alongside collaborators Daniel Pemberton and Mat Clark. LittleBigPlanet went on to sell more than 5 million units, was one of the most successful new IPs on PlayStation 3 and ultimately led to the purchase of Media Molecule by Sony in 2010. Both LittleBigPlanet 2 (2011) and Tearaway (2013) resulted in more acclaim for Kenny and his collaborator’s music. 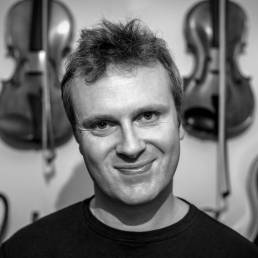 Tearaway in particular allowed his style to broaden to include his folk roots, develop an increased confidence in his multi-instrumental and production skills, and lead to another BAFTA nomination alongside co-composer Brian D’Oliveira. After working on the highly anticipated Dreams for four years and helping to establish much of its core audio direction, Kenny left Media Molecule in 2015 to pursue a freelance career with the aim of writing more music, on more projects with more people. Since then he has worked with Media Molecule on the GANG-nominated score for Tearaway Unfolded (2015), with Secret Sorcery on the GANG-nominated score for VR strategy game Tethered (2016), created the GANG-nominated score for Glowmade’s WonderWorlds (2017) and, most recently, the HMMA-nominated score for Sony Japan Studio’s VR platformer ASTRO BOT Rescue Mission (2018). Kenny has several other music projects in the pipeline in addition to his work as an audio director, sound designer and interactive audio consultant with small indie teams and global mega corporations alike. He is a passionate member of the game audio community, is a founding volunteer of the Audio Mentoring Project, sits on the Game Developers Conference advisory board, has been a BAFTA, Ivor Novello, GANG and IGF awards juror, contributed towards numerous books and award winning articles, and speaks regularly at conferences and higher education institutions around the world. He has a BMus in Music Technology from the University of Edinburgh and an MA (with distinction) in Sound Design from Bournemouth University, and lives near London with his wife and son.